IA Regnum reported today that a Russian conscript serving in Tajikistan apparently shot himself to death on January 29 while pulling guard duty. A sad though fairly routine occurrence. The reasons are unclear. The unfortunate young man, Danila Chaykin, seemed to be doing well in the service. But Chaykin wasn’t just any conscript. 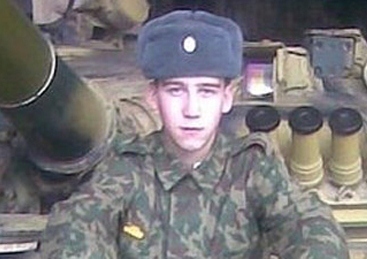 He previously served alongside Ruslan Ayderkhanov in the Yelan military garrison. You’ll recall several months ago Ayderkhanov was apparently savagely beaten before his attackers hanged him to make it look like he committed suicide. According to the press agency, Chaykin was a witness in whatever investigation of Ayderkhanov’s death took place. But Ayderkhanov’s case was closed when military investigators almost unbelievably concluded there was no evidence of dedovshchina or other barracks violence. They say he hung himself for personal reasons. Recapping Interfaks and Life.ru coverage, Lenta says military officials suggest Chaykin took his life because his girlfriend married someone else. But his friends say he didn’t have a girl, and he was due to demob in a couple months. Meanwhile, Life.ru claims Chaykin had six gunshot wounds on his body. Lenta’s version says Chaykin and Ayderkhanov were friends, and the former was questioned about the latter’s death. Then they transferred Chaykin to Tajikistan. Transfers of one-year conscripts are pretty rare in the Russian Army, though not unheard of when it comes to manning units in Tajikistan. It seems a really curious coincidence that Chaykin too would kill himself. Or was it a move to silence an inconvenient witness? It’s odd too that the Ayderkhanov case — a case of patently obvious abuse –would die so quietly and completely. Why does the Russian military, or someone higher up, want to conceal the truth about what happened at Yelan? The authorities are very nervous about crimes that take place on a “national” [i.e. ethnic] basis. It’s been postulated that Ayderkhanov was targeted because he was Tatar. As recently as five or six years ago, there were people who would fight for answers and accountability. One fears there are fewer today. Maybe fear itself is greater now. Conscripts or contractees? It’s difficult for the Russian Army to get the right kind of conscripts, where it needs them. But, over time, it hasn’t been any easier to obtain long-term contract enlisted either. Last week, Izvestiya wrote about army plans to replace conscripts currently serving in its 201st Military Base in Tajikistan with contractees. An officer in the formation told the paper it’s too costly to keep 3,000 conscripts in Tajikistan, and, by the end of 2012, the Russian Army will replace half with contractees. A GOMU source tells the paper replacing all 3,000 at once is “unrealistic.” Contractees will reportedly serve on three-year deals getting 30,000 rubles per month. But there’s no reason to think contractees will avoid trouble any better than conscripts. The first contract experiment proved that. Contractees are more costly and just as difficult to control, if not more than their conscripted brother-soldiers. 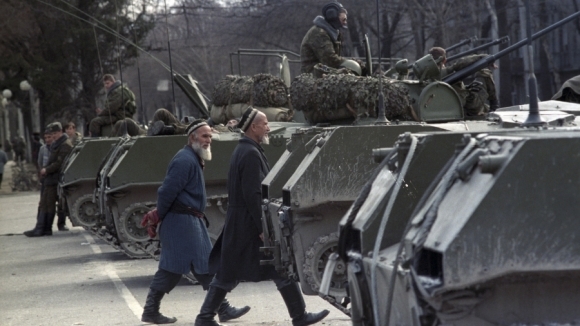 According to Izvestiya, the 201st now has 5,500 personnel, including the 3,000 conscripts. An old Krasnaya zvezda report says, in early 2007 – at the height of the first, failed attempt at introducing contract service – the military base had 7,000 servicemen in all, about 60 or 65 percent contractees. Its two maneuver units had 50 percent or fewer in their ranks. Back then, the Defense Ministry daily said the military was all set to send conscripts in place of hired soldiers. It was hard to convince older, experienced men to go to Tajikistan because of the difficult living conditions and prospects for serving on contract in Russia. As Izvestiya’s interlocutor intimated, relations between Moscow and Dushanbe are a bit strained right now, prompting some to wonder out loud if manning the 201st won’t become a moot issue.